Includes laser engraved text and graphics! Solid Alder wood with durable finish. Photo frame comes with glass window front and an easel back. Frame has rounded corners and edges. The photo frame can be displayed Portrait or Landscape. These photo frames can be personalized just for your need. 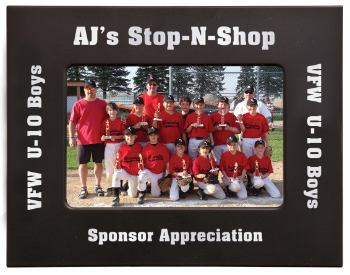 We personalize each custom picture frame with our high definition laser engraving equipment! Photo frames have a custom look but come at an affordable price. Start your shopping experience now and make your selection from our many different styles and sizes shown below. 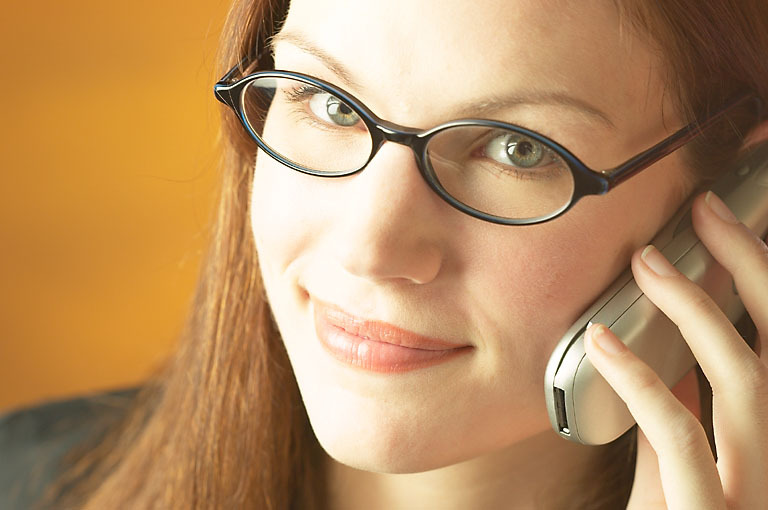 If you need help we are just a phone call away or just send us an email with your questions. Solid Alder wood with durable clear finish. Photo frame comes with glass window front and an easel back. The photo frame can be displayed Portrait or Landscape. 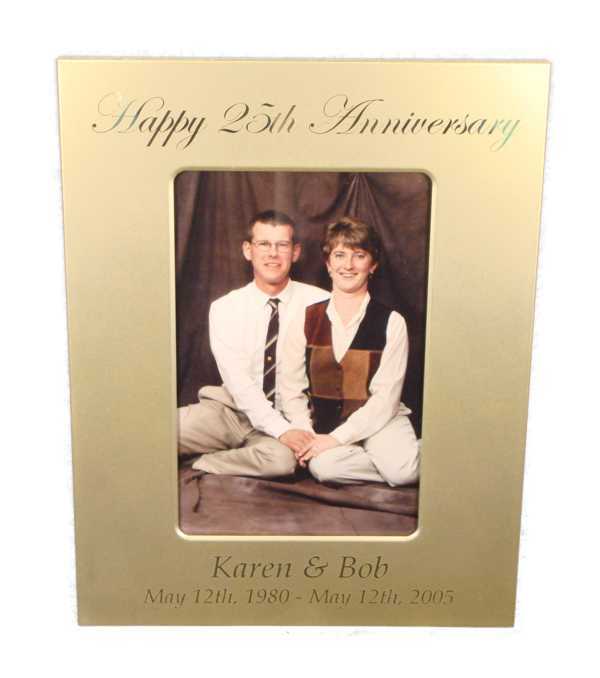 Matte Gold metal photo frame -- letters engrave a bright gold. Frame comes with glass window front and an easel back. The frame can be displayed Portrait or Landscape. All Photo Frames come with an easel back and wall hanger hooks to display the frame either Portrait or Landscape position. Matte Black picture frame -- letters engrave a bright gold. Frame comes with glass front and an easel back. Photo frames can be displayed Portrait or Landscape. Matte Black picture frame -- letters engrave a bright silver. Frame comes with glass front and an easel back. 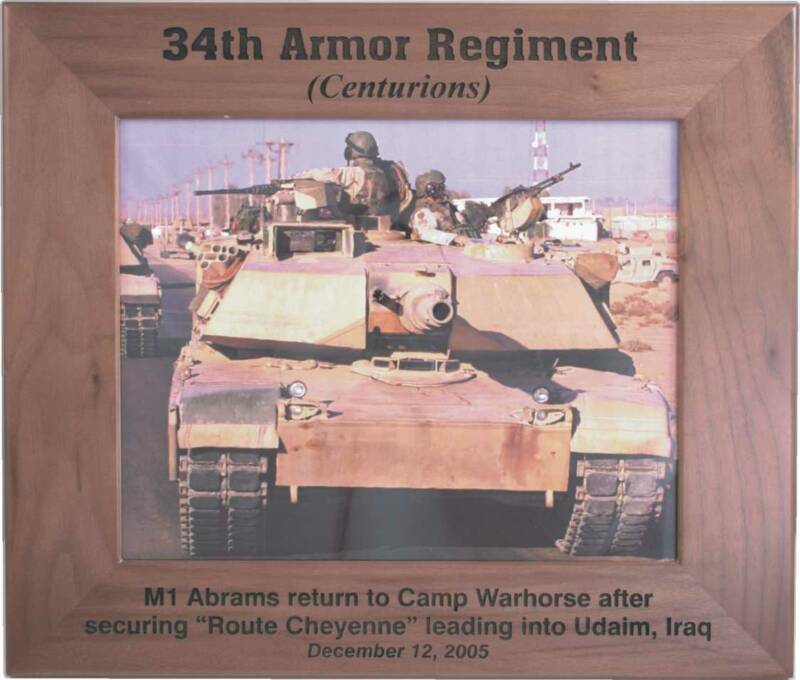 Photo frames can be displayed Portrait or Landscape. Solid Walnut wood with durable finish. Photo frame comes with glass window front and an easel back. Photo frame can be displayed Portrait or Landscape. Matte Silver metal picture frame -- letters engrave a bright silver. Frame comes with glass window front and an easel back. Photo frames can be displayed Portrait or Landscape. Picture Frames are great way to celebrate any occasion. 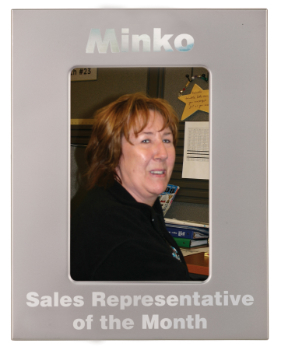 Photo Frames can be personalized to create a Custom Picture Frame for special event. 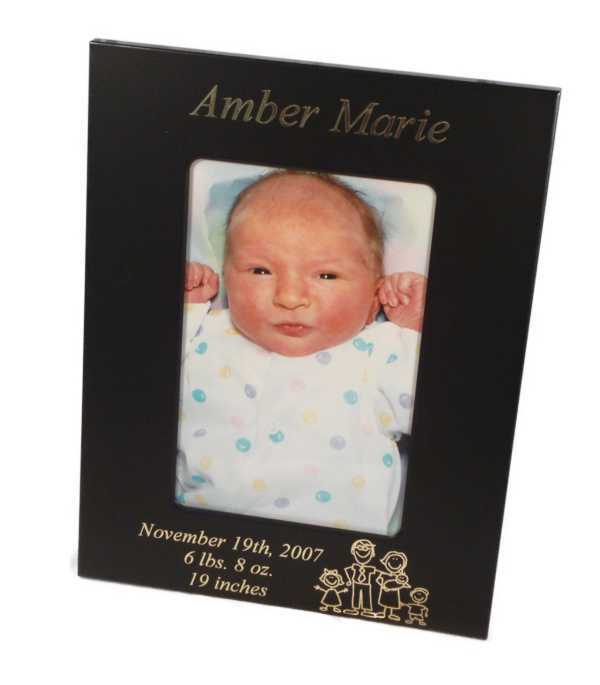 Personalized Picture Frames Make a Wonderful Memorial Item or a Unique Gift For All Occasions. 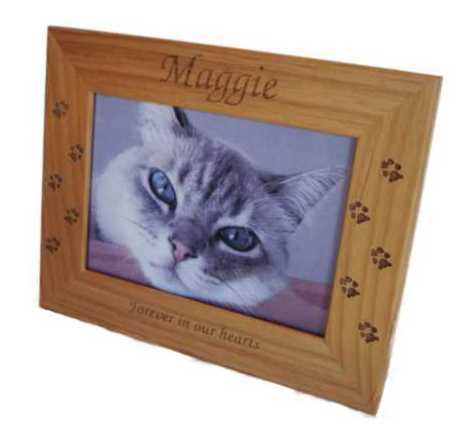 Thank you for visiting our Picture Frames - Photo Frames - Custom Picture Frame page.